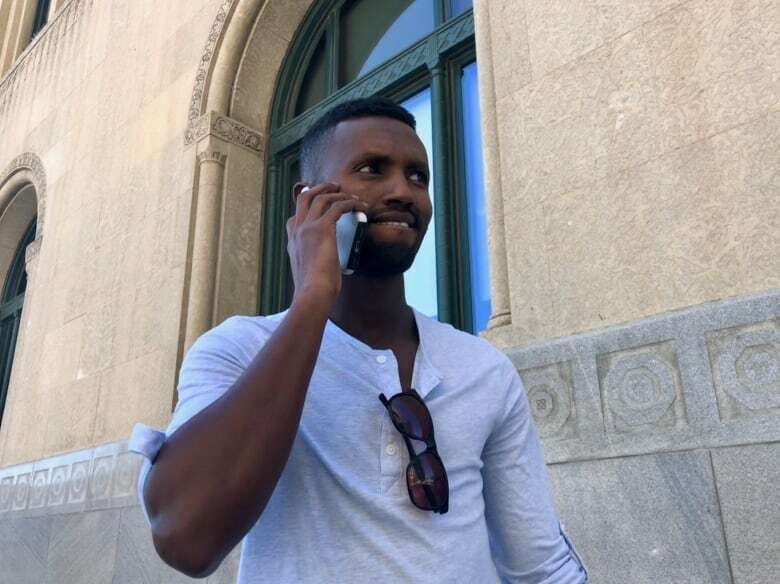 After more than a year of anxious waiting, Guled Abdi Omar has received some good news: his refugee claim has been accepted, paving the way for him to eventually become a Canadian citizen. But it comes at a time when the average wait time for a refugee board hearing is increasing. Last fall, the average wait for a refugee board hearing was 16 months. Now, it's 20. 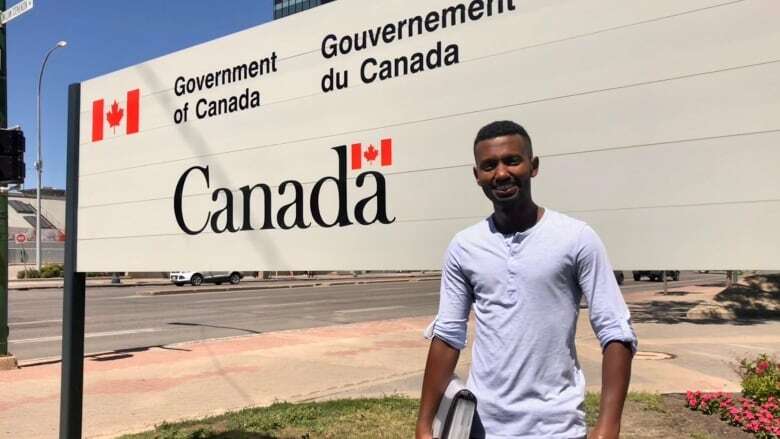 After more than a year of anxious waiting, Guled Abdi Omar has just received some good news: his refugee claim has been accepted, paving the way for him to eventually become a Canadian citizen. "I'm feeling happy — I'm just shaking," Omar said Tuesday, moments after learning of the approval at a hearing in Winnipeg. "It was the happiest day I've ever had so far. I'm feeling good. I'm feeling relieved. God is great." He's one of the lucky ones. His decision comes as wait times for a hearing are on the rise. According to new data from the Immigration and Refugee Board of Canada (IRB), the average wait for a hearing is now 20 months or longer — up from an average of 16 months last October. Omar's phone then buzzed and he answered; it was his wife, Farah, calling from Nairobi. "They granted me asylum in Canada!" Omar told her, a big smile on his face. "I love you!" This year alone, nearly 11,000 asylum seekers have already crossed into Canada illegally, most of them in Quebec. It has created a housing crisis there, as well as in Ontario, and led to growing tension between the provincial and federal governments. "We now have to start asking government questions about how they start supporting and paying for a multitude of issues that have been created," Conservative MP and immigration critic Michelle Rempel said earlier this week. The flood of asylum seekers began picking up soon after the election of U.S. President Donald Trump in November 2016; it grew further after he was sworn in and introduced controversial travel bans. People fleeing violent hot spots around the world started looking to Canada as a place of safety, and in some cases, creating a migration route through Central America, moving north through the U.S.
CBC News first met Omar, along with his friend Abdikadir Ahmed Omar, in February 2017 in Mexico City. The pair was escaping death threats in Somalia and a refugee camp in Kenya, and their goal was to get around the U.S. travel ban and into Canada. "For me, U.S.A. is not an option," Abdikadir Omar said at the time. "They're against immigrants, refugees, and especially someone like me — who is a Muslim, who is black, who is Somali." The two men jumped the fence at Tijuana and were immediately arrested by heavily armed border patrol agents. They spent two months in a detention centre near San Diego but continued their journey north after their release. On Canada Day long weekend in 2017, they walked over the border into Manitoba and got a very different reception. Their first stop after being released from the port-of-entry in Emerson was a temporary reception centre in the border town of Gretna, population 500. The community embraced them, they said, inviting them to soccer games and community gatherings. "The first day, I felt like no one cares if I am from Somalia or from wherever, or who is my race or what is my religion," Abdikadir Omar said at the time. "They care … that I am a human person, I am a human being, and they respect that." A non-profit agency helped them file their refugee applications and get settled in a Winnipeg apartment. Their IRB hearings were originally scheduled for September 2017, but were postponed for almost a year because the board was swamped with new and legacy cases. Frustrated and unable to find stable, good-paying jobs in Winnipeg, they moved to Alberta. Now Guled Omar is working in construction in Red Deer. "I work seven days, 12 hours a day. I work hard to provide for my wife and my family, and that's what I'm living for — to support the country and pay the tax as a Canadian citizen," he said. "The future of my family depends on my future." 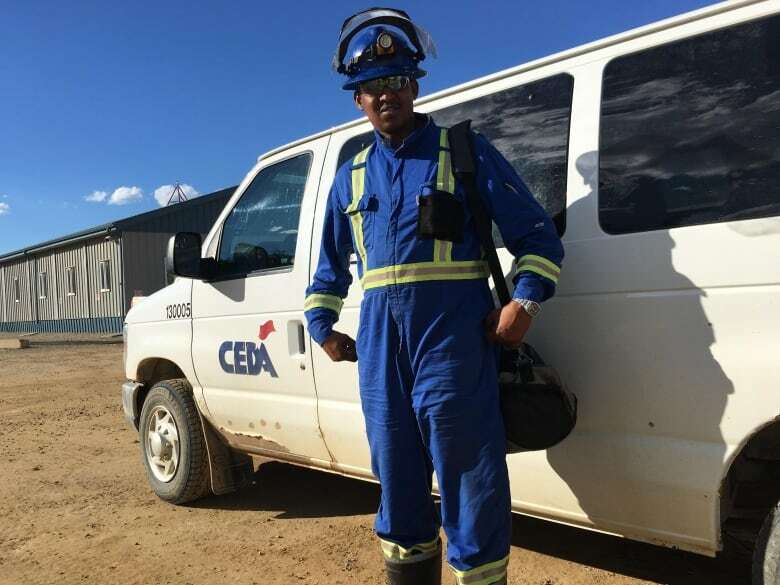 Meanwhile, Abdikadir Omar is working in the oilpatch and plans to study engineering. "I have a social sciences degree and there are not a lot of jobs like that in Canada. I can't be labourer, the bottom of food chain, forever." But he's still anxiously awaiting his IRB hearing, scheduled for next month, and hopes it won't be postponed again. "It means everything to me," Abdikadir Omar said this week via Skype from his work camp, about a four-hour drive northeast of Edmonton. "It means the start of life in Canada.… As a young man who wants to have a future in Canada and have a safe life in Canada, that's the main gate, the key, the entry point." Odaro Omonuwa, a Winnipeg-based immigration lawyer who represents both Guled and Abdikadir, said he's actually seen people moving to Manitoba in a bid to speed up the processing of their claims. 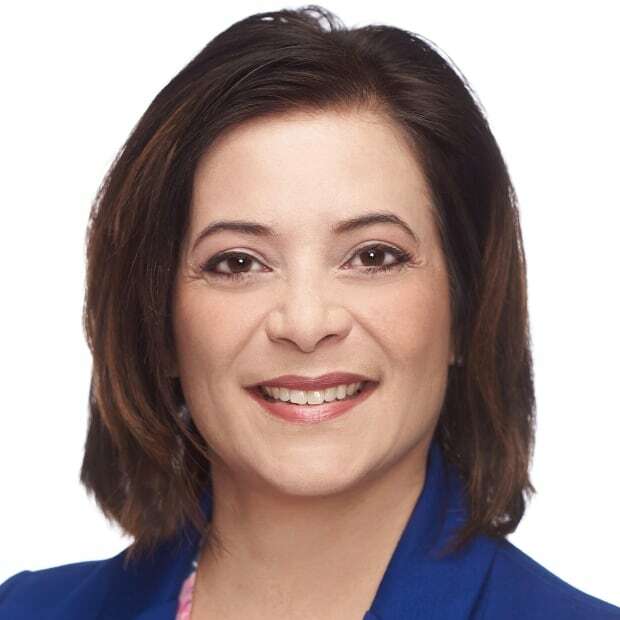 "There are so many people coming across the border, so many people are moving from other provinces — Quebec, Toronto — because Manitoba is not as congested. So now they're making the backlog worse here," he said. "It's worse in Toronto. They actually sent out a letter to clients in Toronto that they shouldn't expect their hearing until after 24 months. That's why they're leaving other provinces and coming here." Granting refugee protection without a hearing (expedited processing) of suitable claims from eight designated countries. Scheduling of shorter hearings when appropriate. Piloting an Integrated Claim Analysis Centre to better co-ordinate claims during the pre-hearing process. But the backlog is still piling up. Two years ago, there were more than 13,000 cases pending, including irregular crossings and the standard refugee claims. Last year, that number doubled to more than 26,000. As of last month, it had quadrupled to more than 56,000 cases pending. Omonuwa said he thinks the solution would be to better fund the boards. "They should hire more people as judges, as members, as decision-makers," he said. "When you have limited amounts of funds and very few members or workers in this field, it's going to affect how fast your hearings will take place. And that's what's happening now." In the 2018 federal budget, the federal government earmarked an additional $74 million over two years, part of which is being used to hire about 250 more staff. Once all those people are trained, the IRB said it should be able to finalize 17,000 more claims over the next two years — in addition to the 24,000 cases it already processes annually. As a result, they're hoping the average wait time for a hearing drops to 12 months.